It is very important for seniors to engage in interesting activities, fun games, and activities that can help to keep their brains’ functioning at its best, while maintaining their physical heath. Each senior citizen has their own personal preference, own taste, physical and mental capabilities, and interests. As much as possible, games and other activities that will be done by seniors should be personalized, and surely there will always be a game that can fit a senior’s needs and interests that can help in keeping his or her brain in the best shape. Mahjong is a game that is usually played by 4 players. Mahjong is played with 1 set of 136 tiles with assorted Chinese symbols and characters. 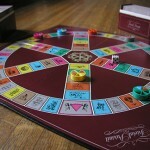 The game is a game that involves using strategic skills, calculation, techniques, and certain degree of chances. 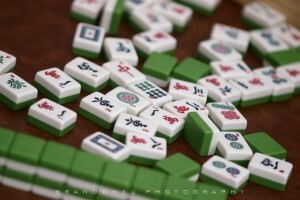 Mahjong game has many regional variations in the rules, however, there are standard rules about how to draw pieces, steal tiles from other players, and how pair tiles. Since mahjong is a game that requires the use of cognitive skills, such as concentration, calculation, strategies, attention and memory, mahjong can greatly stimulate the senior’s brain to function. Mahjong is not just any ordinary game that can bring enjoyment to seniors and all other people playing it, it can also help in waving off age related medical conditions, including dementia and Alzheimer’s disease. Cognitive Improvement – Mahjong can promote cognitive development in all seniors, whether they have dementia or not. It can help any player improve memory skills, keep the mind sharp, and can stimulate the brain to work or function effectively. Seniors with healthy and sharp minds can usually decide faster and react to certain stressful situations efficiently, compared to seniors who do not follow any brain exercises through brain games and brain puzzles, like Mahjong. 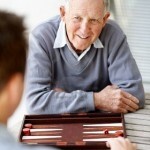 Improve Social Relationships – Mahjong can provide social interaction with other senior citizens. 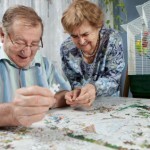 Social interaction or socialization is very important for everyone, especially seniors. 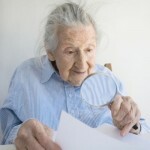 Seniors who do not have anyone to interact with have higher chances of becoming depressed. Mahjong can be a way for them to talk about anything with someone from the same age group that they can totally relate with. 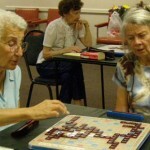 do you have scrabble and card games for seniors? how about Casino games?